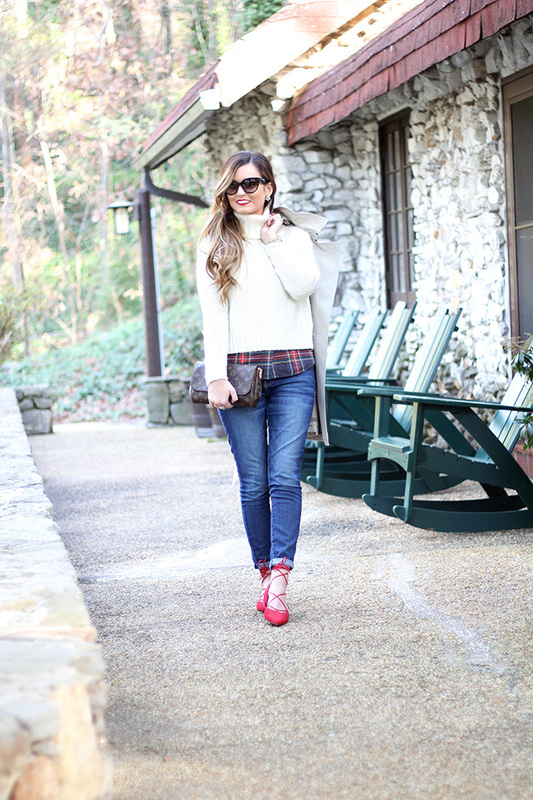 I love putting together a festive outfit around the holidays and this look seemed totally appropriate for a day in the mountains at Grove Park Inn. I LOVE driving up to the grove park during the weekends! It's such a short trip for us, but far enough away to where you feel like you've gotten out of town. The chill in the air, the holiday dècor all around and the many, many fireplaces make for one cozy evening. I wanted a look that was festive, comfortable, and classic so this cozy turtleneck, red flats + chic trench were perfect. And of course, my favorite cat eye sunnies to top off the look and make it timeless! Special thanks to Nordstrom for sponsoring this post! 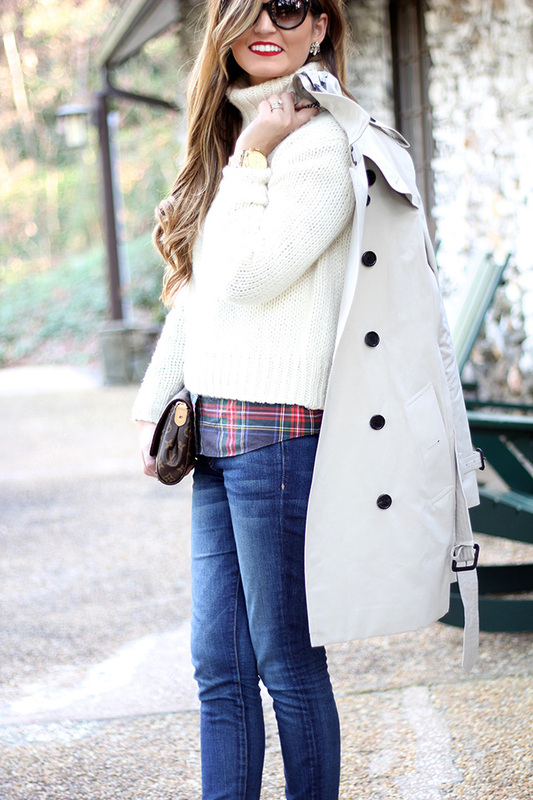 Perfect layered coat and this trench is such a timeless piece! I love that coat! the whole look is great! ty for doing all these giveaways- I have wanted Hunter's for so long. Stupid me, I tried some cheaper (but not by much) ones that look almost exact but they were so heavy and cold. I really hope to win this!! I haven't won anything in so long... ty for all the chances! I love the red lace up flats paired with a plaid button up. Cute look! That trench is everything! Love this layered neutral look, so perfect! Love those red flats! Perfect way to add color to winter outfits!